IT has arrived! 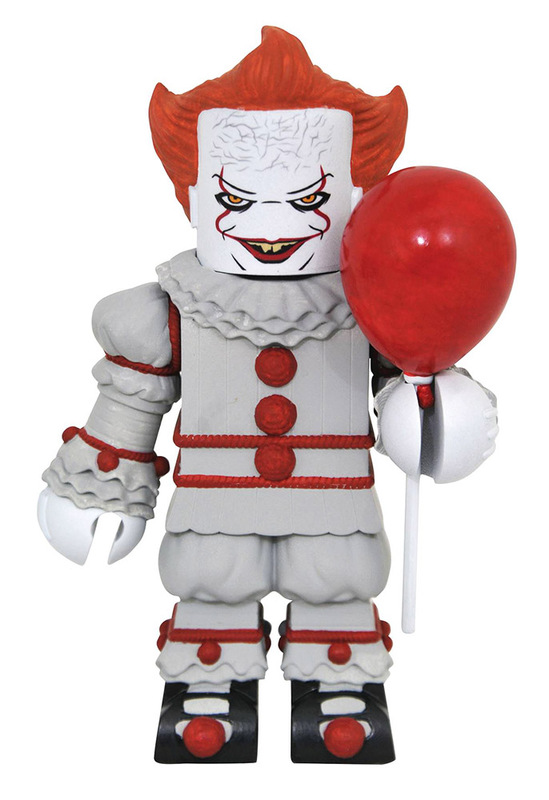 The Vinimates line of vinyl figures just got a whole lot creepier, with the addition of the IT Vinimate! Holding a balloon, the demonic clown Pennywise stands approximately 4 inches tall, sculpted in the Minimates mini-figure style with an articulated neck for additional posing options. Packaged in a full-color window box.